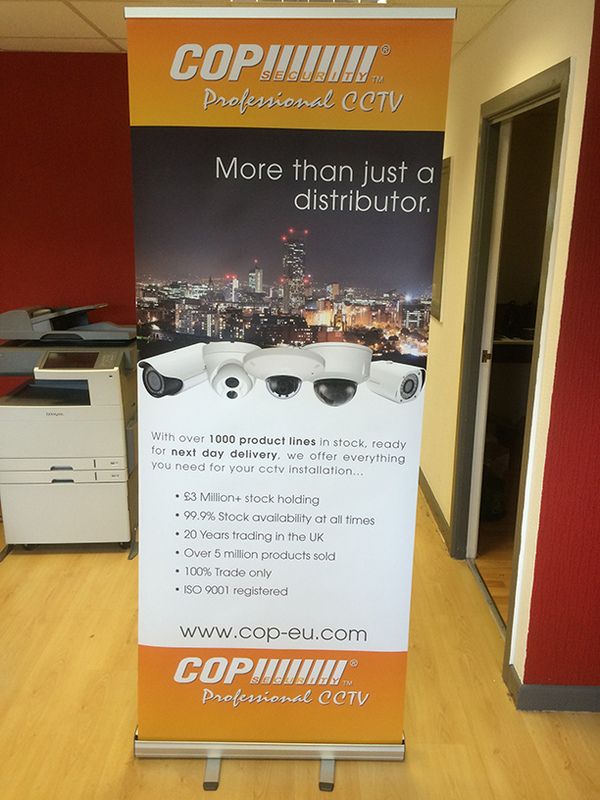 We design and print roller banner stands of all shapes and sizes to meet the needs and budgets of a diverse range of customers. 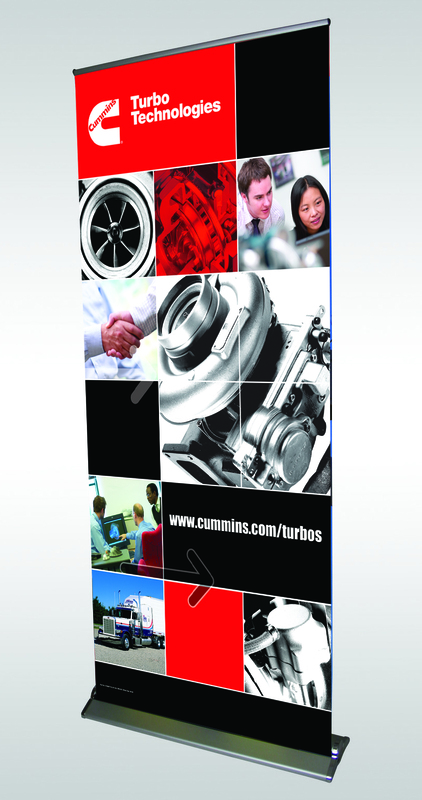 All of our pull up banners can be quickly assembled in an instant and are printed on site using the latest printing technology. Choice of sizes – To get noticed within your space and budget. 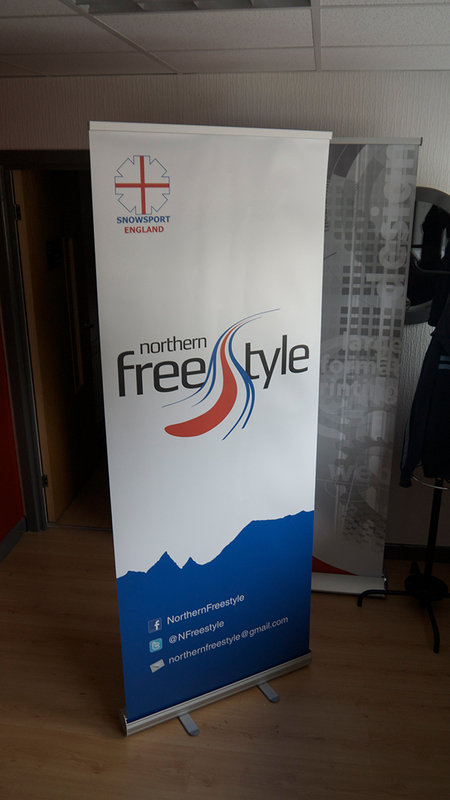 Vibrant long-lasting colours – High-resolution 6-colour printing on bright white banners makes sure the smallest details get noticed, even on the biggest banner stands. Scratch resistant – Printed using the latest scratch resistant inks. Environmentally friendly – We use the latest range of HP Latex eco and odourless inks, so our banners are safe for schools and kitchens. 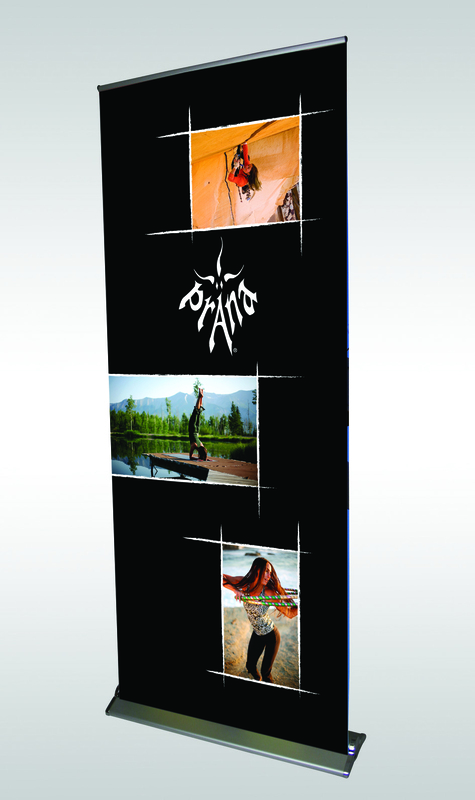 High performance features – Including grey light-block backing and designs printed on thick and durable 300gsm crystal textured polypropylene film. Quality guarantee – We only use Ultima mosquito cassettes, a UK brand that guarantees against component failure and defects for one year. 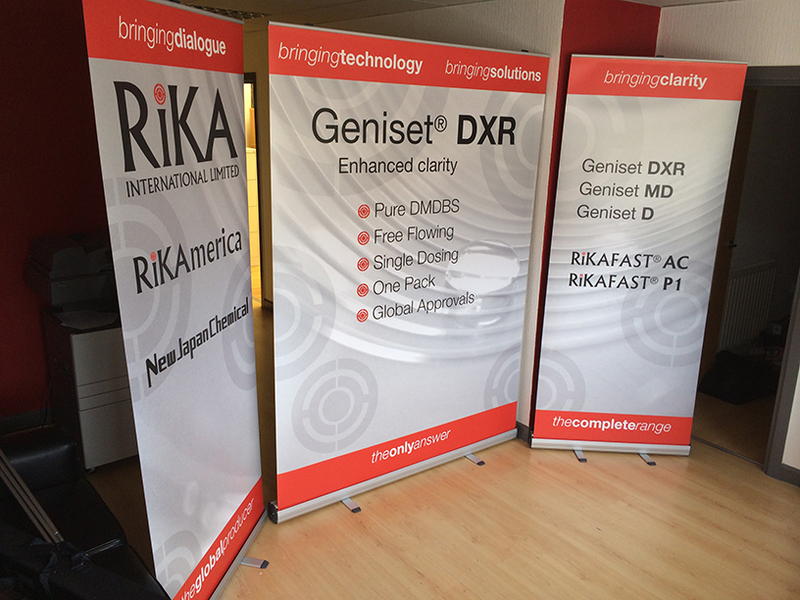 There are cheaper cassettes, but we want to provide you with a roller banner you can rely on. Many of our clients work in advertising and marketing. 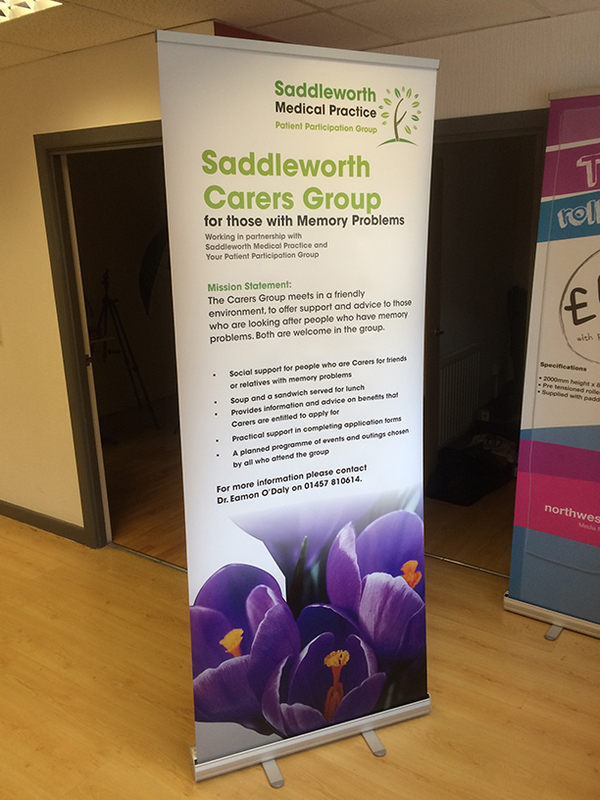 So, we’re used to maintaining confidentiality, providing a final artwork check and printing high quality roller banners to meet tight deadlines. We want to keep you and your customers happy, so you come back time after time. If your old pull up banner is still working and you can get it to us, we may be able to replace your old panel with a new graphic panel as a cheaper alternative. Other sizes available please give us a call on 01457 877164. Category: Banners. Tags: cassette banner, cassette banners ashton, cassette banners huddersfield, cassette banners manchester, cassette banners oldham, grasshopper banner, mosquito banner, pop up banner, roler baner, roll up baner, roll up banner, roller baners england, roller banner, roller banners, roller banners england, roller banners great britain, roller banners huddersfield, roller banners manchester, roller banners north west, roller banners oldham, roller banners uk, rollup banners oldham, ultima banner.